Sent to the eastern front for troop entertainment, Greta meets Willhelm, Friedhelm and Charlotte again in distant Russia, two years after their last meeting. The war has changed the friends. It is on the eve of the biggest German armoured offensive,"Operation Citadel", near the Russian city of Kursk. The offensive is going to shift the balance of power in the East again, in favour of the Wehrmacht. Greta missed her plane to Germany and are stranded at the front. Viktor escapes the transport train to a concentration camp in Poland together with the Polish woman, Alina. They end up with the Polish partisans. 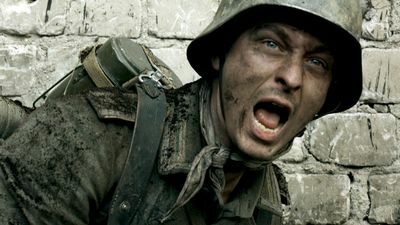 Wilhelm's unit is wiped out in the Battle of Kursk and Friedhelm, the sole returning survivor of the unit, believes that his brother has fallen. But Willhelm, who confused and wounded wandered off from the battle and found shelter in a deserted hut, is caught by MPs and condemned to death by firing squad for desertion. After the initial great military successes, the German army push on towards Moscow. 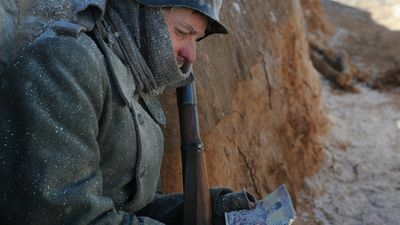 The longer the war in the East, war-veteran Lieutenant Wilhelm Winter and his brother Friedhelm, experiences the horrors of the Russian campaign. When the two witnesses of a pogrom in a Ukrainian farming village will in which a German SS-officer shoots a 14 year old girl despite the intervention of Wilhelm, their previous notions of war comes to a falter. In the hospital, Charlotte also meets the disillusioning reality of war. Greta is getting closer to becoming a celebrated singer and uses her "charm" to help Viktor get out of Germany. Berlin in the summer of 1941: The five friends Wilhelm, his beautiful spiritual brother Friedhelm, Charlotte, Viktor and Greta meet to say goodbye. Wilhelm and Friedhelm are ordered to the Eastern Front, Charlotte will go there as a field nurse. They promise to meet again after the war and are convinced that it will be over by Christmas.